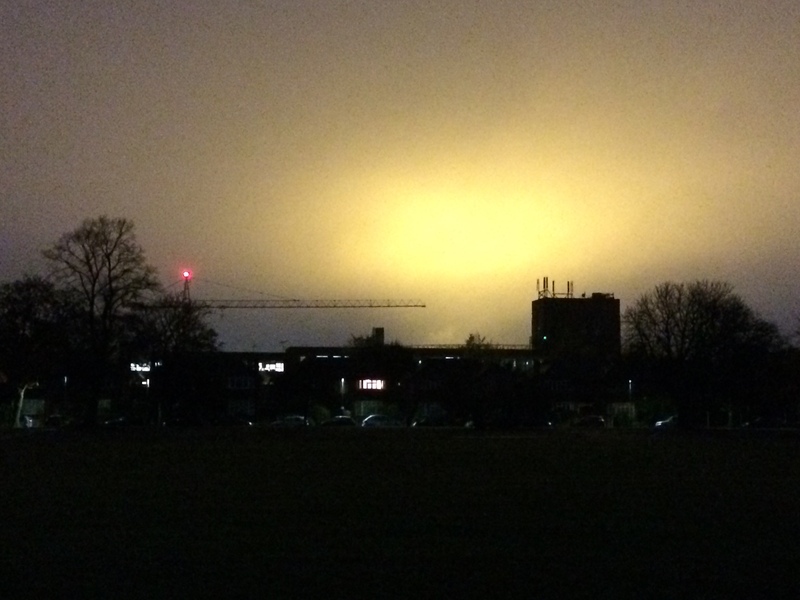 If you’ve seen a strange yellow glow in the night sky in the vicinity of Twickenham Stadium then we can reassure you that aliens are definitely not landing. After recent heavy use of the stadium for rugby and NFL it’s all down to the RFU using special lights to encourage the grass to grow. With lights that bright we’re just left wondering exactly what kind of grass they’re growing there. Once a cabbage patch always a cabbage patch! Glow in the sky in late December? And on a site of immense cultural and even religious significance? ‘Oh, they’re just re-growing the grass’. Bloody Second Coming’s going to be wasted on you lot. 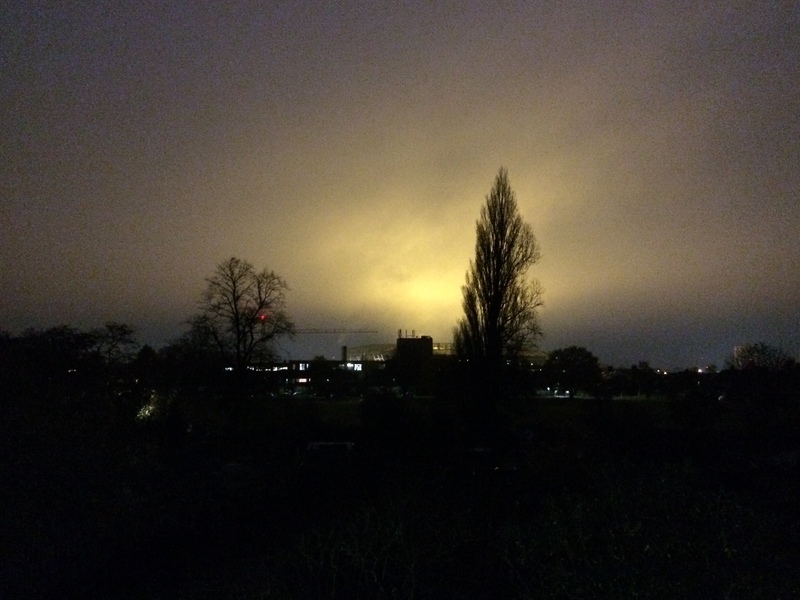 Thanks for this info….we have some ‘yellow glow’ photos on the River Crane Sanctuary’ website which are really golden! Any news of the River Crane path from Brewery Wharf ever being unlocked? Pitch is a mixture of artificial and real grass I believe and extra light is needed to promote growth of the real stuff! The RFU may wish to clarify as I don’t want to mislead. Unfortunately, the real stuff was largely pressure-washed away when they tried to remove the extensive NFL pitch markings. Unusually, those markings were left on the pitch for a week, and apparently the ‘wrong type’ of paint was used as well! This resulted in the pitch looking nearly as bad as after Top Gear had played motor rugby on it (just before it was relaid). 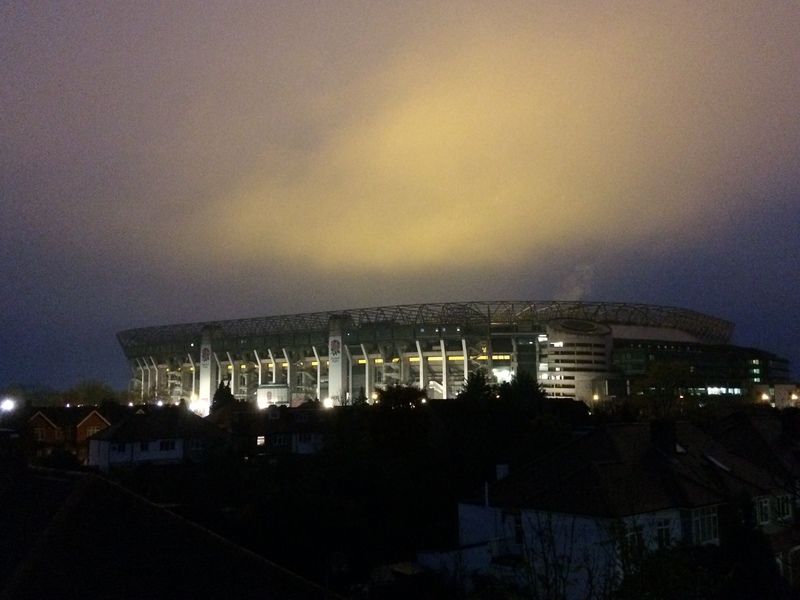 Let’s hope those lights have resurrected the real grass in time for Harlequins Big Game 10.